Can you think of a better location to spend a lazy summer afternoon, than on the patio of The Sonora Room Restaurant? 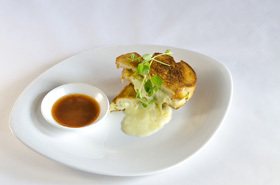 Chef de Cuisine Damian Mischkinis, and Sous Chef Ian Bohun have just released the new summer menu which includes their own spin on an old classic: the “three-cheese" grilled cheese sandwich. This tasty sandwich is made using a unique blend of local cheeses - Upper Bench Gold, Qualicum Brie and Smoked Mozzarella with a suggested pairing of Burrowing Owl’s Cabernet Franc. For dinner, try the Seared Scallops served with pork belly sausage, smoked apple raisin gastrique, slow cooked Fester’s carrots & tarragon. A glass of Burrowing Owl Pinot Gris is perfect with this one. Hungry now? Reservations can be made online here. Summer is in full swing at Burrowing Owl’s 11 room guest house. 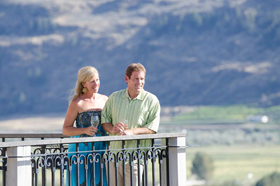 Space is very limited already, so if you are considering a summer trip to the South Okanagan – book your room soon to avoid disappointment. 1-877-498-0620 x1. Summer is also a great time to make your fall getaway plans. Our popular "Harvest Package" will be back following Thanksgiving & we are taking reservations now. Details can be found here. 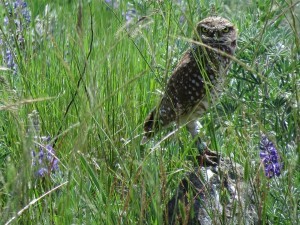 Approximately 50 returning burrowing owls were spotted in the field this spring, which is the most we have ever seen! These counts were taken from sites across BC where burrowing owls are released each year in the South Okanagan, Nicola Valley and Lac Du Bois. 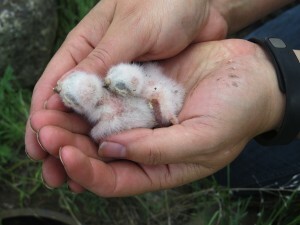 In addition, 68 yearling owls that were born and raised in the South Okanagan captive breeding facility were banded and released into the field in the spring, and right now nests are hatching in the same locations as noted above. Burrowing owls that were born in the breeding facility, and will be kept until they too are yearlings, are now about 4 weeks old. Baby Burrowing Owl Naming Contest! In our last newsletter, we announced the sad passing of Pilot, the educational burrowing owl that had been with BOCS for the past 7 years. Lauren reports that BOCS has received approval to raise two new owls that were recently born in the captive breeding facility for educational purposes, and so we are holding a naming contest! Lauren expects that she will know if the owls are male or female by the end of the summer (you can't tell right away) so the names submitted should be gender neutral. 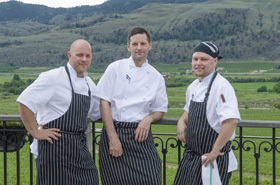 If you wish to enter the contest, please submit your ideas via email to: contest@burrowingowlwine.ca by July 15, 2015. Lauren and one other volunteer from BOCS will review all of the entries and select 2 winners (one name for each bird). A $50 gift card for Burrowing Owl Estate Winery to be used in the Wine Shop or Sonora Room Restaurant, or for online Wine Sales. The 2015 growing season started with a bang! Due to nice warm temperatures that started early and carried on all spring, virtually every farm in the South Okanagan ‎is 2 weeks ahead of growth compared to an average year. The sad news is that the early winter deep freeze that allowed ice wine makers to harvest early at the end of 2014, caused some damage to sensitive varieties located in low lying pockets of the vineyard where cool air pools. At Burrowing Owl, we are seeing some light vine damage and expect a slightly lower yield from our vines in 2015, however, this will not affect the quality of the fruit and the true extent won’t be realized until harvest in the Fall. 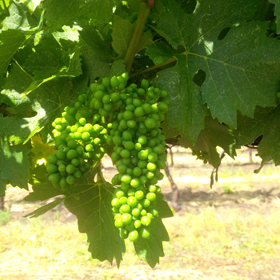 Fingers are crossed that the summer continues to offer optimal growing conditions for another stellar harvest!